Columbia 39173. Scandal. Warrior. 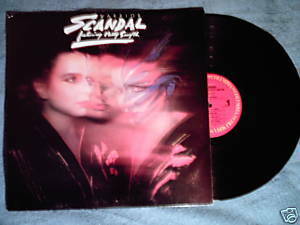 1984 LP includes title track, Beat of a Heart, Hands Tied, Talk to Me, Say What You Will. Patty Smyth, lead vocalist. Produced by Mike Chapman. VInyl is VG; cover is VG with photos, seam scuff, and corner wear.